We are very proud to be acting for The Mailbox since 2011. During this time, we have developed a wider agency partnership with the Mailbox and expanded our services from PR to include events, digital, social and now also experiential activity and commercial support. In 2015, we re-launched the Mailbox following its £50m refurbishment. In 2017, as well as managing wider events throughout the year, we launched the Mailbox’s significant new Home Furnishings offering, with headline brands Heal’s and MADE.com taking up their regional showrooms in the 20,000 sq.ft space on the lower ground, along with other nationally renowned home retail brands. 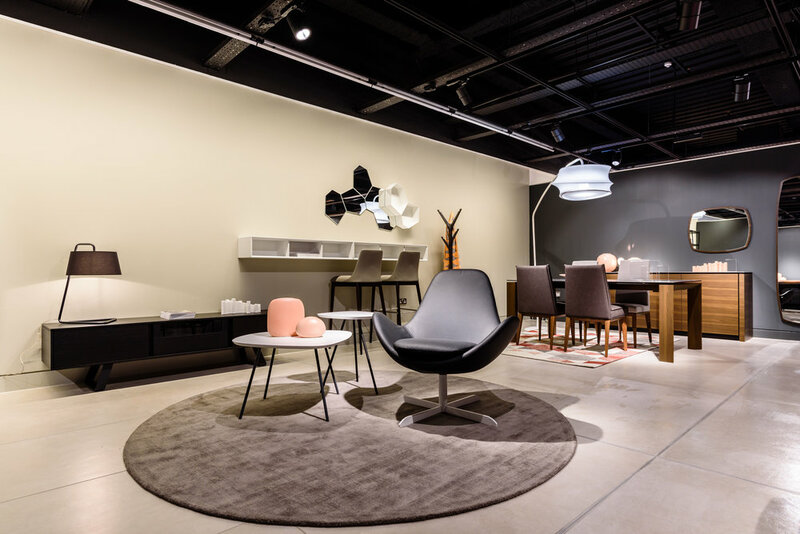 Because there wasn’t anywhere in Birmingham offering aspirational and accessible contemporary furniture and interiors under one roof, the challenge was launching an incredibly unique proposition, the first of its kind for the region, to a wider demographic audience. With Birmingham in the midst of a city renaissance and the Mailbox visitor historically led to the Mailbox for designer brands and its diverse culinary offerings, it was important to raise awareness of the new Home Furnishings offering at The Mailbox with existing visitors and new audiences. The Home Furnishings project was 18 months in the making, however, critically, the lead up to the launch was how to position Mailbox Home Furnishings on the map to attract visitors from towns and cities from a wider mile radius in all directions. The Mailbox adopted a multi-channel marketing strategy which was focused on inspiring existing and potential customers. For the launch of Home Furnishings at The Mailbox, this included a wide creative approach. There was an extensive outdoor media campaign, targeted advertising, and a dedicated home furnishings magazine. We built anticipation with a creative ‘coming soon’ PR campaign. We raised awareness of the offering by a collective brand approach and we also supported individual brands within the space to maximise their existing outreach for the Mailbox. We delivered a press and bloggers briefing and targeted regional news and lifestyle press as well as national trade, retail and property press. We created a series of high profile launch events and PR to drive footfall, leading up to a focused opening day and evening which brought the whole proposition to life. The evening VIP event on Level 1 included drinks and canapes, live music, speeches. Guests attended from across the business community and regional VIPs. The evening launch party and shopping incentives extended to the loyal customer base of the Mailbox and the individual brands – customers felt connected to the Mailbox and were able to be involved in the vibrant launch experience. The entire ground floor space was animated through lighting, projection and a DJ, with a focus on the Home Furnishings area. We also delivered unique interactive content within the newly launched Mailbox App, which enabled the Mailbox to deliver highly personalised messages to individual users based on their preferences. We have seen immediate traction with customers following launch, which is very rewarding. One Heal’s customer bought one of their most iconic designer chairs on launch night. The Mailbox has seen an increase in both visitor numbers (from a wider demographic) and sales (by volume and average transaction value). 44 pieces of press coverage were achieved to a total online readership of 10.2m with estimated coverage views of 186k. We secured interviews and features in Retail Week, Retail Focus, Retail Bulletin, Property Week, Birmingham What’s On, Interiors Monthly, Furniture News and Cabinet Maker, as well as many other national and regional publications. With the West Midlands being home to 5.7 million residents and customers travelling from across the breadth of the region and beyond, ongoing marketing and awareness activity continues into 2018.